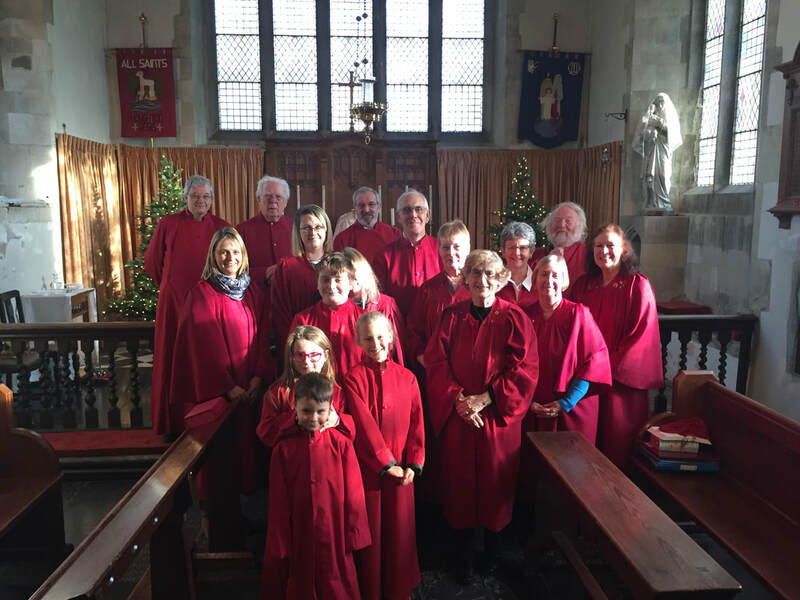 All Saints’ Choir is a four-part choir affiliated to the Royal School of Church Music (RSCM); it performs anthems, psalms, and Mass settings during our many celebrations - including Civic Services through the year. 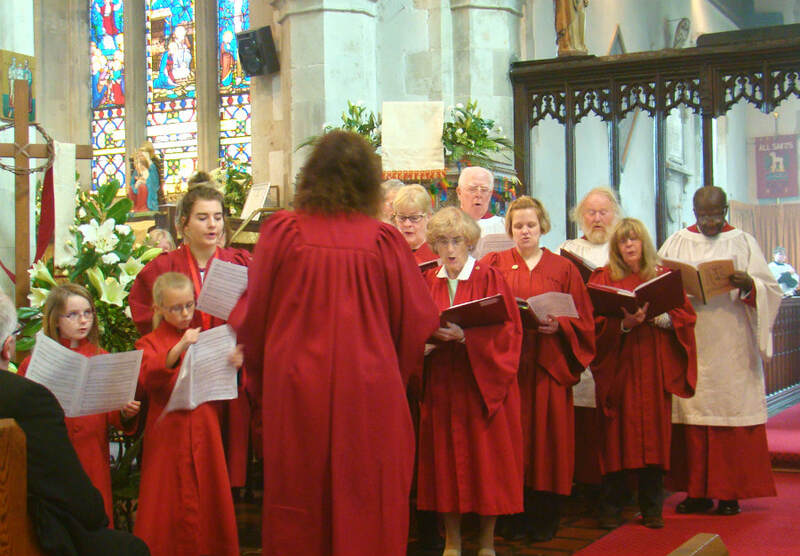 The choir also has an important role in leading and promoting the singing of other worshippers on Sunday mornings, and other festivals. 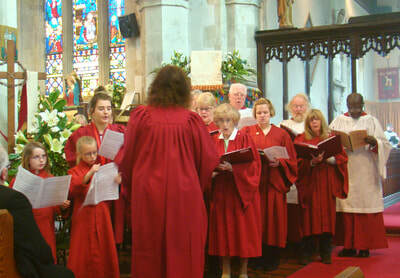 The choir can also perform at other services, such as weddings or funerals, upon request. The choir rehearses on Friday evenings (except in August) at All Saints’ Church under the direction of Janet Steele from 7.00 for about an hour. 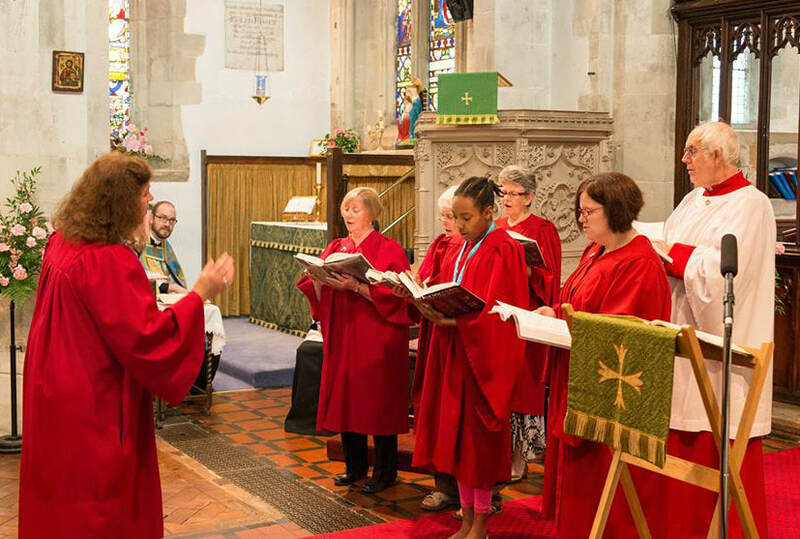 Junior members of the choir follow the RSCM ‘Voice for Life’ music scheme which helps them to gain confidence as singers as well as strengthening their musical and reading skills. The scheme has various levels of achievement, granting medals and ribbons as the choristers progress through it. The starting age for Junior members is around seven years, but younger members can be admitted as well depending on their reading skills. Choir members make a commitment to the service they provide to God and to his people; they attend choir practice, the Parish Mass on Sundays, and other major celebrations as regularly as they can. All Saints' Choir is a very friendly group ready to welcome new-comers of every age. It is currently looking to recuit more singers in both the Junior and Senior sections. So, if you love singing and are interested in joining a well-established choir get in touch with Parish Office – we will be happy to welcome you at one of our choir practice evenings!